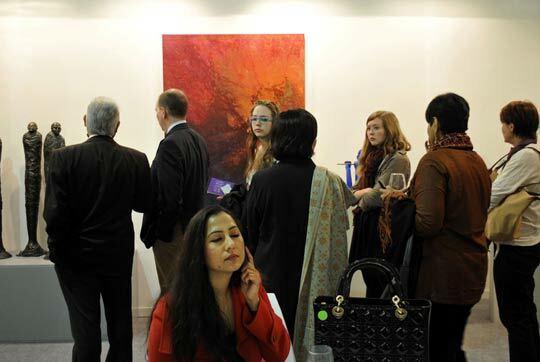 View of an artwork by British artist Jeff Robb displayed during the preview of the 4th India Art Fair EPA/ANINDITO MUKHERJEE. 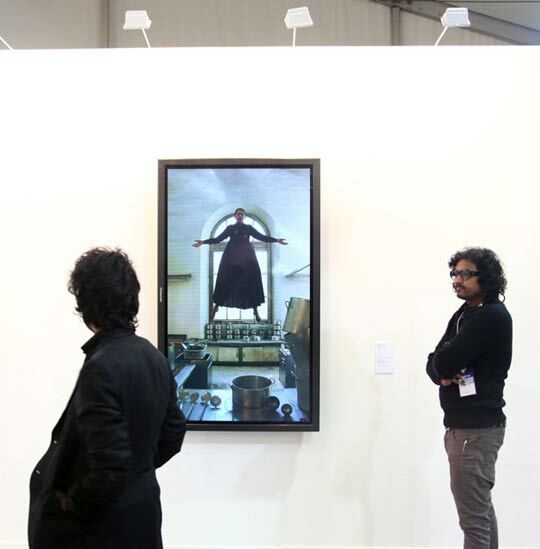 An artwork by Indian artist Shakti Maira is on display during a preview of the fourth India Art Fair. 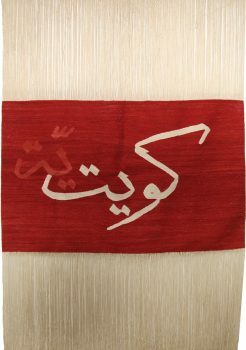 EPA/ANINDITO MUKHERJEE. 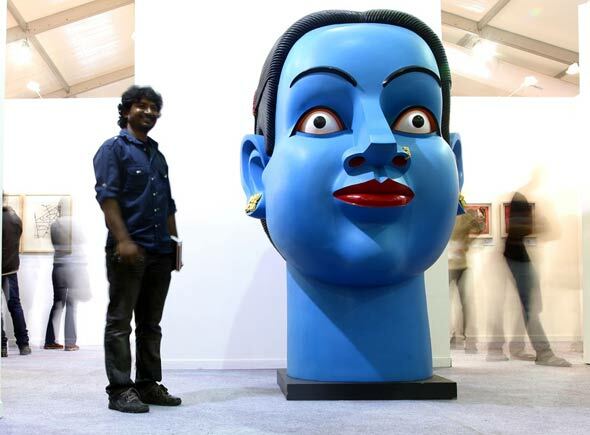 A man stands next to an artwork by artist Ravinder Reddy at the fourth India Art Fair, in New Delhi. 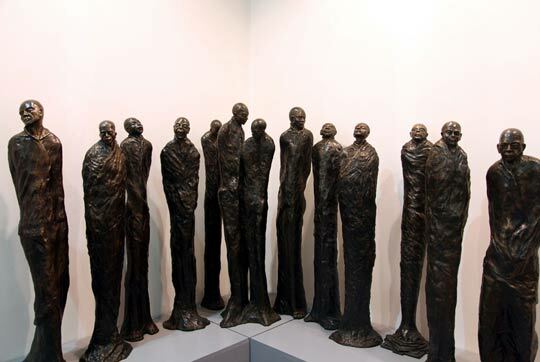 EPA/ANINDITO MUKHERJEE. 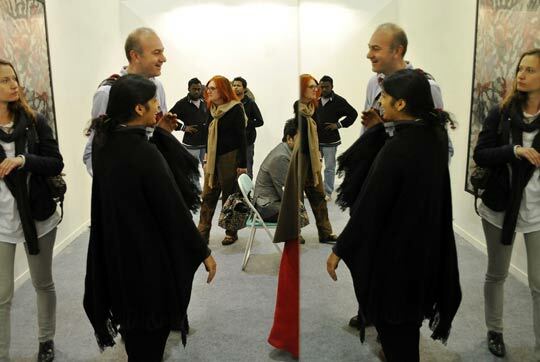 An artwork, entitled Shade, by Australian artist Sam Jinks is on display during a preview of the fourth India Art Fair.EPA/ANINDITO MUKHERJEE. 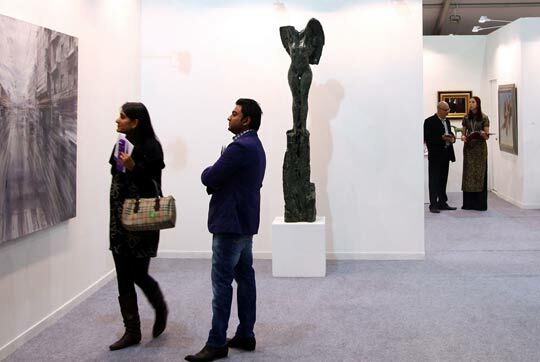 NEW DELHI.- Visitors look at work on display at the opening night of the India Art Fair in New Delhi, India. 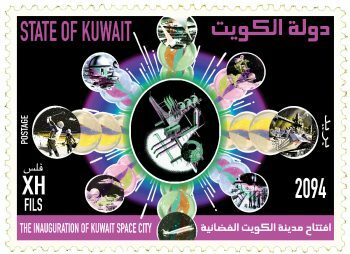 Wednesday, Jan. 25, 2012. 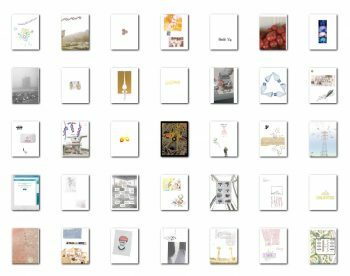 The fair consists of work by more than 1000 artists from India and around the world and runs from January 26-29. 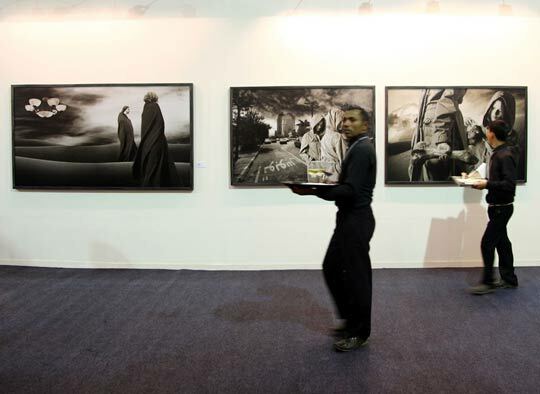 AP Photo/Tsering Topgyal. 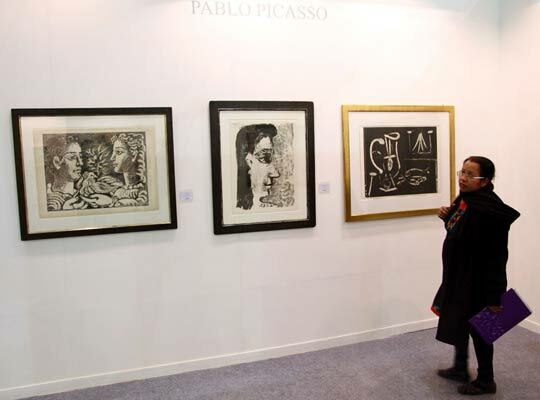 A visitor looks at the work of Pablo Picasso displayed during the preview of the 4th edition of India art fair .EPA/ANINDITO MUKHERJEE.